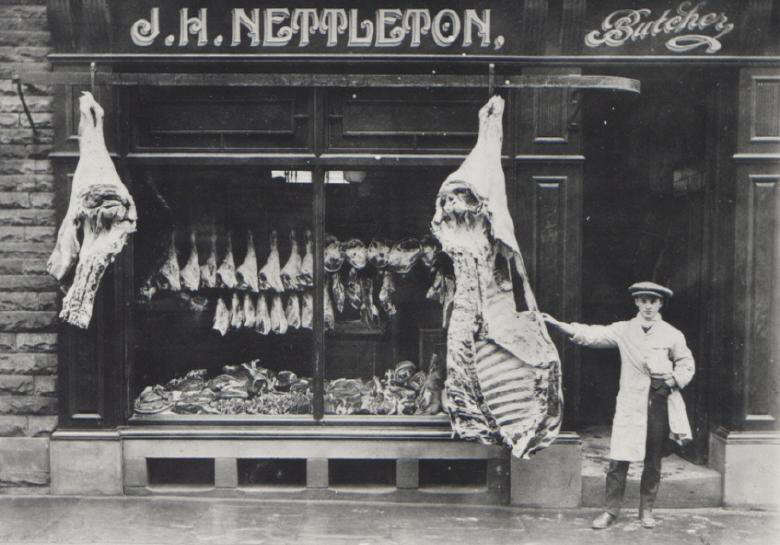 A 1909 picture of James Hampshire Nettleton's Butchers Shop in Ossett. J.H. Nettleton was Ossett's Mayor 1905-06 and 1906-07. The young man shown in the picture is apprentice butcher, Charles Ashton.